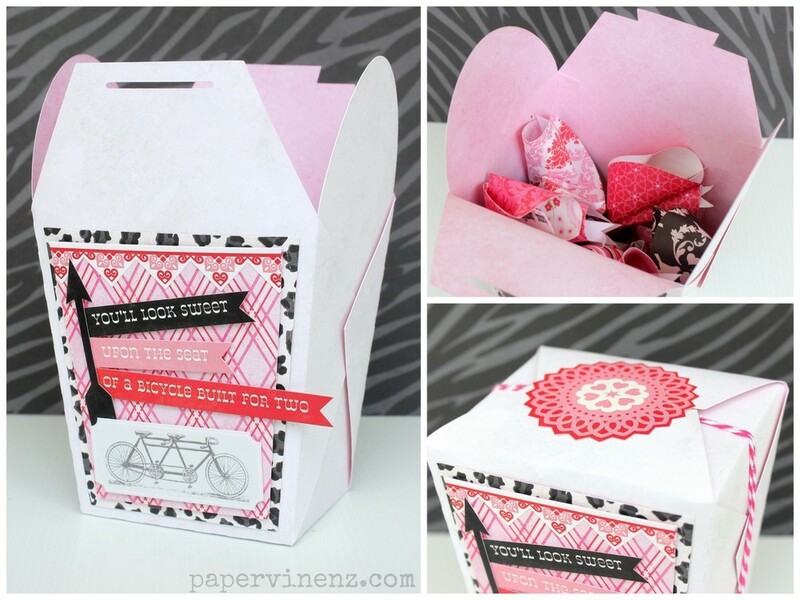 Another fun idea for Valentine’s today! These fortune cookies look great in pink – but once you get the hang of making them you can use them for all sort of occasions! You may have seen my idea from last year where I created a Dates Jar for the year as a Valentine’s Gift, with one date to be opened on the 14th of each month. I wanted to create something similar – so I have made 12 fortune cookies – each containing a date idea and we will open one on the 14th of each month for the next year! 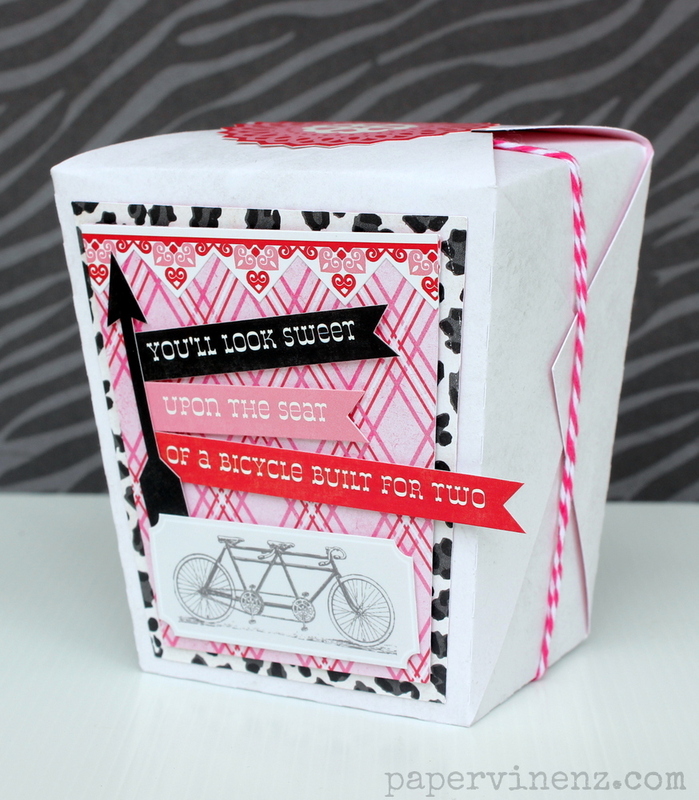 To create the box I used one of the files from this set by SVG Cuts and decorated it using some scrapbook paper from Echo Park. I used a sticker for the seal on top and some twine adds just a little more color. First of all I created the little dates to put inside the cookies. I simply printed them onto on a sheet of matte photo paper and then used some stickers from the Collection Kit to decorate them. I set these out in PowerPoint using a simple pink banner shape for the background and a matching Windows font called PlayBill. To create the cookies following the tutorial below, I suggest using a 6×6 paper pad (as opposed to 12″ paper) as the paper is a slightly lighter weight which makes it easier to form the cookie shape. 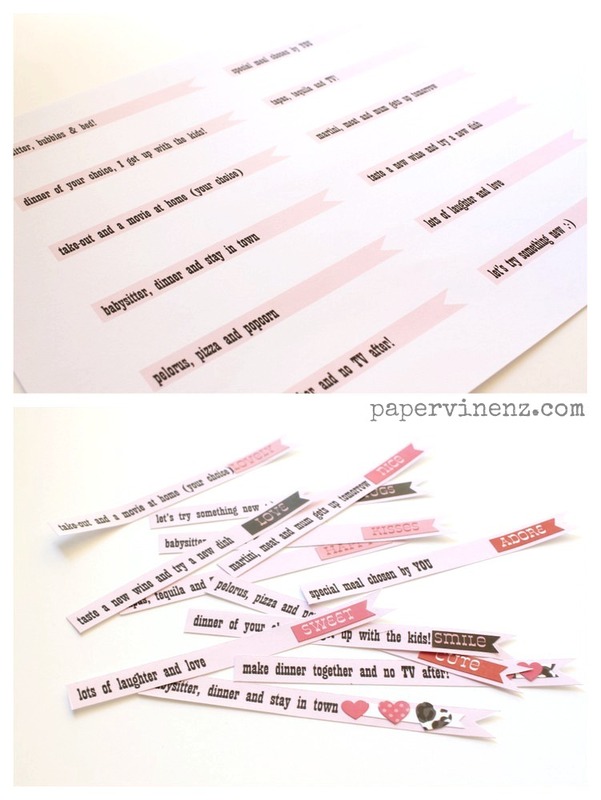 This is also a great way to use up scraps too! 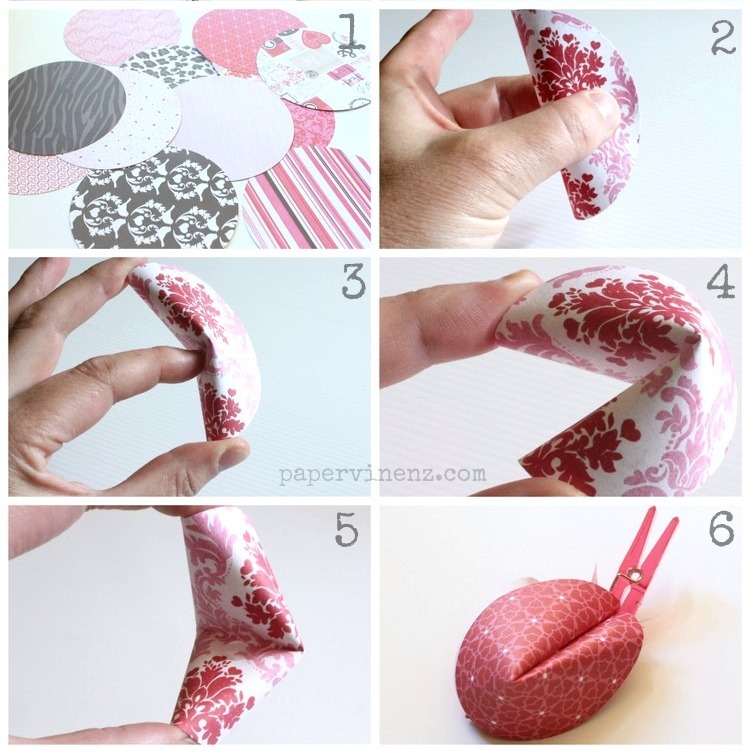 Fold paper circle in half – make sure you have your fortune tucked inside! I suggest trying these out with a few scraps of paper first to get the technique right – if you are having trouble the most likely reason is your paper is too thick. Thinner paper definitely works better for these. This is such a simple idea and really fun to make. Once you have mastered the technique you could easily use these for wedding or party favors, table decoration or packaging for a small gift. Cosmo Cricket featured my work on their blog too!